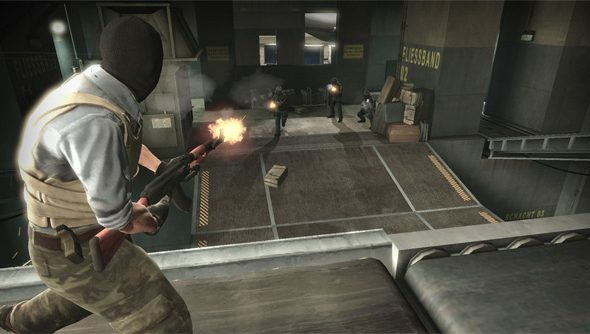 Now that Counter-Strike: Global Offensive has lifted up its balaclava and puckered it’s pre-order lips, news of a whopper of an incoming beta patch has landed. The update is due to arrive before August 14th, and incorporates a veritable payload of changes and tweaks. The full patchnotes can be found here. It includes Mac support, changes in bot difficulty, eight new player models, new animations, new UI elements, new voice overs and weapon tweaks. It’s a hefty patch indeed, and likely the final one of its kind before the game reaches its release date of August 24. The pre-order itself was detailed on the Counter-Strike blog. Pre-purchasers will receive a 10% discount, meaning CS:GO is currently on offer for £10.79. They’ll also gain entry to the beta on August 14th, which is further suggestion that this megapatch is essentially bringing the beta in line with what will become the release build. My favourite part of the update: “Players now cheers over the radio when the win scoreboard is up when the match is won by his team.” Isn’t that lovely? Hooray for cheering.